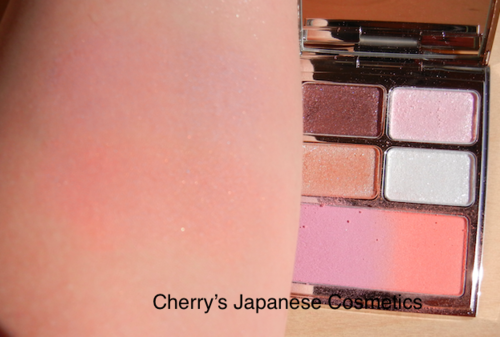 Let me (Cherry) share with you my makeup palette: RMK Holiday Makeup Palette, which I am using recently. 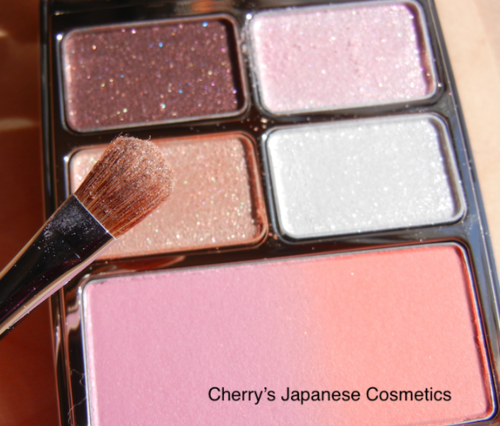 This 4 eyeshadows and 2 blushes palette is from RMK Holiday Kit 2013, which is already sold out on the first sales day in Japan. So cute colors, aren’t they? 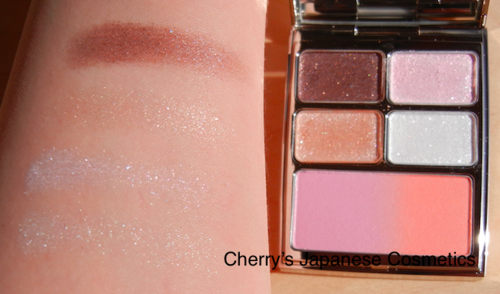 To be honest, I was surprised and shocked to see this palette. I thought that there were too much lames for me. But actually each powders and even lames are pretty small, and much elegant than I had thought. Let me show you each of the colors. Up to down; Brown, Beige, Pink, and White. How are they? 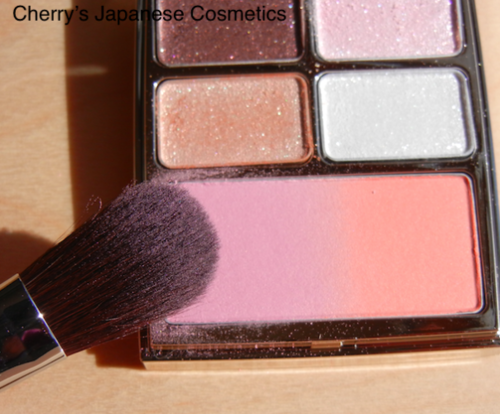 Even in this picture, pink part in the palette is so whitish pink, and when it is on my skin, I have to admit it is hard to find to define which is white and which is pink. But I am in love with those Brown and Beige. So pretty! 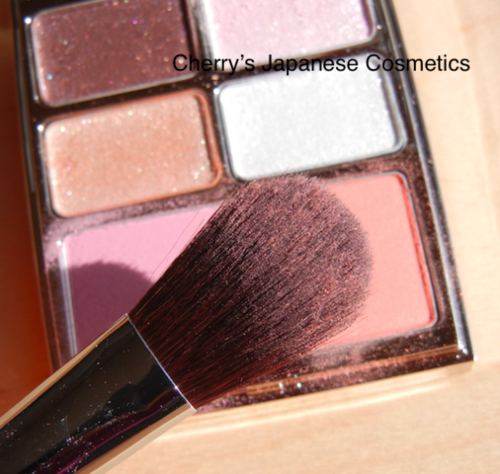 We often call it as “cheek”, it maybe because we do not distinguish the pronunciation of “brush” and “blush”. 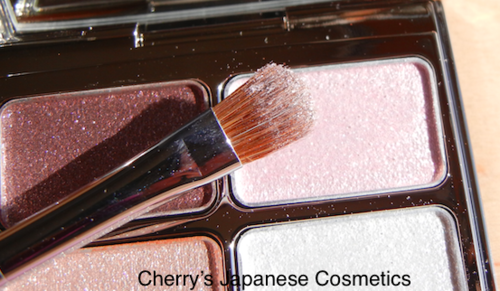 See how small powders they are! On my skin. Sorry! I focused on the palette, not my arm! Anyway, I wish you can see the colors. Actually this pink is not strong. And Coral is stronger on my skin. There are few lames too. Those color palettes are quite easy to mess. 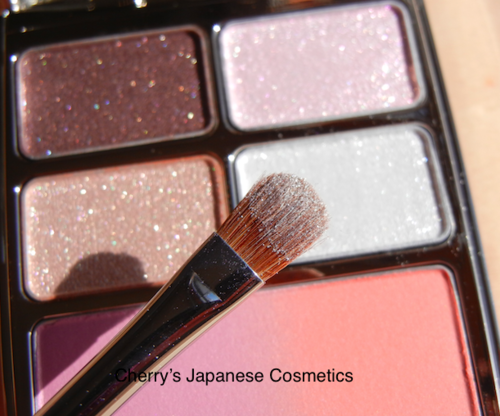 You can brow and wipe the outside to clean, but it is pretty hard for me to keep not mixing powders. 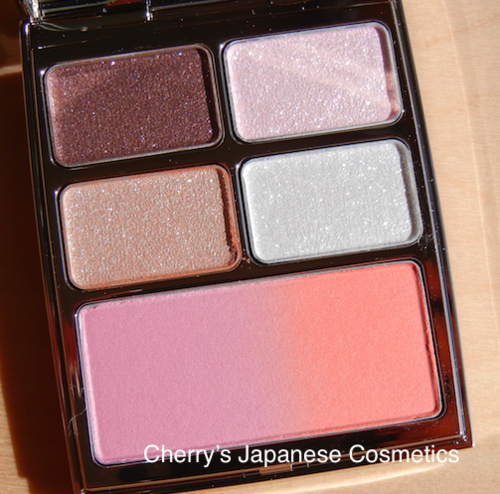 But he good thing of this 2013 holiday palette is that point; there are no lips or other cream kind items in this palette. 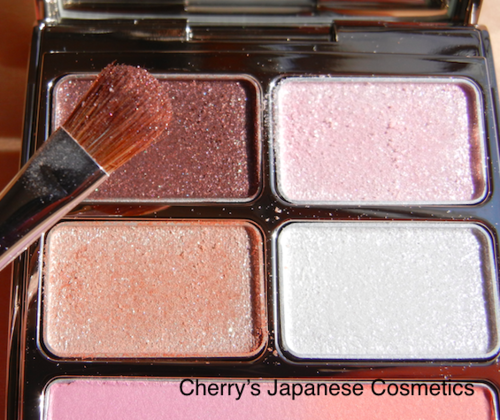 For me, that is a horrible to mix powders and creams on one palette! Bottom lime; This is pretty useful, and cute palette! If you like those limited & seasonal items, please visit often: “Limited & Seasonal“. FYI: The items we used.